It makes sense to be optimistic about the local employment landscape, especially when the considering a career change. 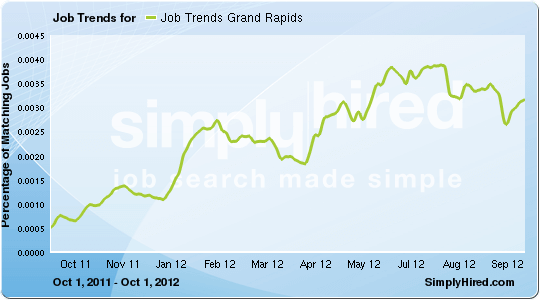 Here’s the news, plain and simple: the job market in Grand Rapids is evolving, and companies are seeking qualified employees! How you present yourself as a potential job-candidate continues to be a key component, which many jobseekers forget to prioritize. If you want to secure your ideal job, a cookie-cutter resume and cover letter, aren’t going to win you the invitation to interview. A strong delivery of your background and qualifications should be your top objective. If you’re not making a clear statement in your resume and cover letter, you may find your content at the bottom of a very big pile. 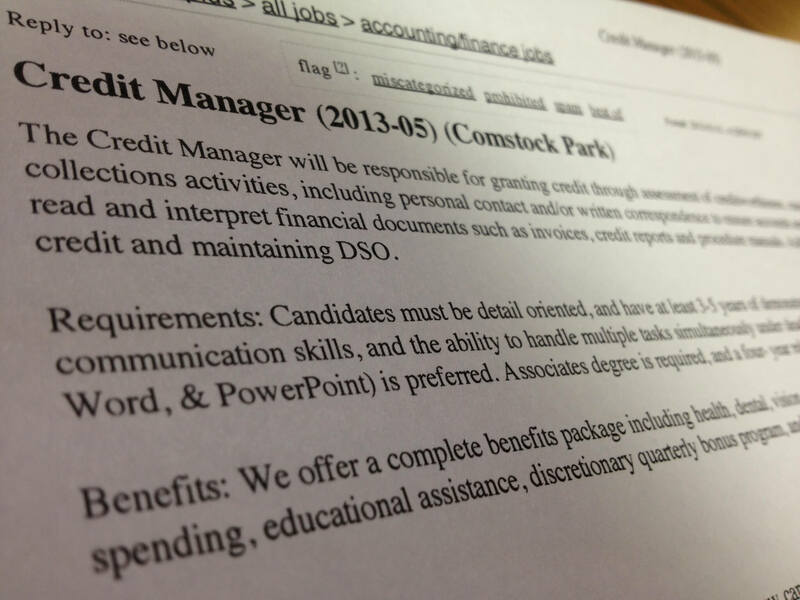 Credentials are still important; but here’s the thing: you better be communicating those credentials effectively for the hiring managers to notice you. The gatekeeper is traditionally the Human Resources department, and they will be searching resume examples for relevant keywords. HR is charged with responsibility to filter a long list of candidates and forward the most capable to the hiring manager. If you aren’t capturing attention during this particular stage, you may find yourself waiting around forever. This is where thinking like an employer is helpful. Imagine what it’s like to be sorting through dozens, possibly hundreds of resumes all at once. Make it easy for them by concentrating your resume on accomplishment driven content, which parallels with the job description. Again, I emphasize keywords. Consider the logic here: the gatekeeper is required to review resumes quickly. You want your professional profile and cover letter to be forwarded to the hiring manager, who will know how to properly identify a technical fit. So be certain that you list the specific keywords clearly and concisely, so you can move to the next step. What does that mean? Make it crystal clear that you have the experience and qualifications to be a solid technical fit for the position. Champion efficiency by reducing the amount of time and effort it takes to determine your candidacy. Show your future employer that you are capable of presenting yourself in a professional way. Don’t approach the job market with a “throw it against the wall, and see if it sticks” mentality. Produce superior employment documents and make the positive impact you desire. The job market is like a battlefield. You’re up against other local candidates, but you may be surprised how unprepared your competition really is.